The recent rapprochement between these two, opposing Forces, created a Geopolitical event which, if it lasts and develops, will upset the balance of Power in the Middle East. The relations between the two States, in recent years, were hostile, as they were supporting opposing sides in the Syrian Civil War, fighting each other through proxies. 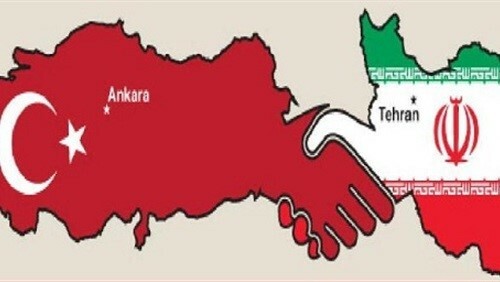 Iran and Turkey had not fought each other for centuries, yet they were never close. In the time of the Shah, their common defence ties with the West and the USA were strong, due to the common fear from their Northern neighbor, the ex-Soviet Union. For the last few decades, the arrival in power of the Ayatollahs in Iran, prevented any close diplomatic understanding. In theory, after the collapse of the ex-Soviet Union and the development of nuclear weaponry by Iran, the relationship of Turkey with Iran was politically hostile. In reality though, it was close and fruitful business wise, as Turkey was the principal way to bypass the Western embargo and sanctions imposed on Iran. The support given by the Turkish business society to Iran, with the tacit approval of the Turkish Government, reached such dimensions that the U.S. indicted, among others, a Turkish Minister of State, for breaking and profiteering from the Iranian embargo. The Syrian Civil War found the two Countries fighting on opposite sides but cooperating, when mutual interest dictated it, as it was for instance, with the transactions in gold. The fact that, in spite of the bloodshed in Syria, between the factions supported by Turkey vs. the factions supported by Iran, the two Countries reached a politico-military understanding and cooperation, is worthy of deep examination. It has the potential to become a “game changer” in the new equilibrium, if and when, that is achieved in the territory. This bears that much more significance, at the backdrop of the rhetorical excitement of President Trump and his administration against Iran and the threat of a negative review, of the US-Iran nuclear deal. The hostility of the US towards Russia has not stopped Turkey, to complete the Russia-Iran-Turkey triangle. The obvious explanation for the ‘‘entente’’ between Iran and Turkey is the shared Kurdish problem, which we will analyze below. However, there is a more important, strategic, parameter. That is the abandonment by Turkey of the West and its turn towards the East, in their newly found Orientalism. The turn of Turkey to the East is not a diplomatic maneuver, it is a concious choice. 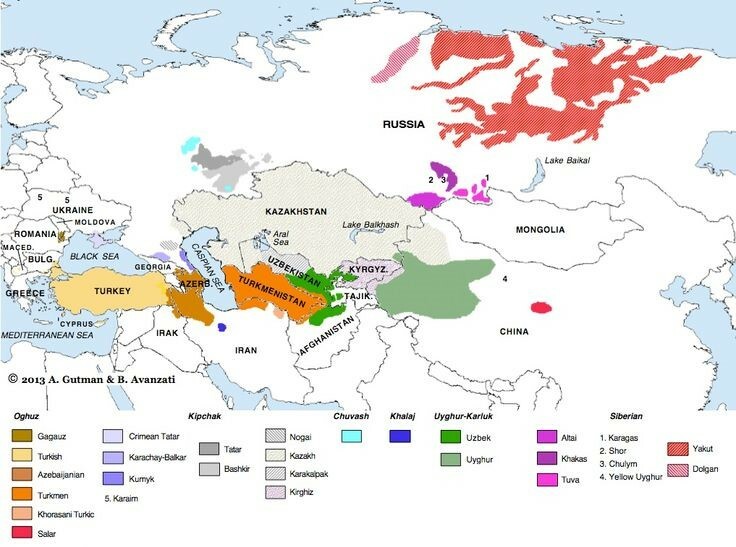 It started in a low-key way with the collapse of the ex-Soviet Union and the opportunity that Turkey found in the affinity with the peoples of Central Asia both in language and common Mongol origin. Turkish leaders built links and presented Turkey as both the ethnic and cultural home of those peoples, from the Crimean Tatars and Azerbaijan, all the way to Kazakhstan and Kashgar of the Uighurs in China, even linking through Turkish Airlines, Kashgar with Istanbul. What started, under Ozal and Demirel, as a multipolar Foreign Policy and politico-economic opportunism, became dogma, with the ideological development of the “Strategic Depth” concept, by Professor Davutoglu, mentor of Erdogan and later Foreign Minister and Prime Minister of Turkey. In 2001, before AKP came to Power, Davutoglu, then International Relations Advisor to Erdogan, published his book titled “Strategic Depth”. In this book, Davutoglu distances Turkey from the Strategic choice of its founder Kemal to “westernize”, choosing to come back to the Ottoman past of Turkey. Davutoglu argues that Turkey is not a Peripheral Power, but rather belongs to a small group of Central Powers, because of its strategic depth. 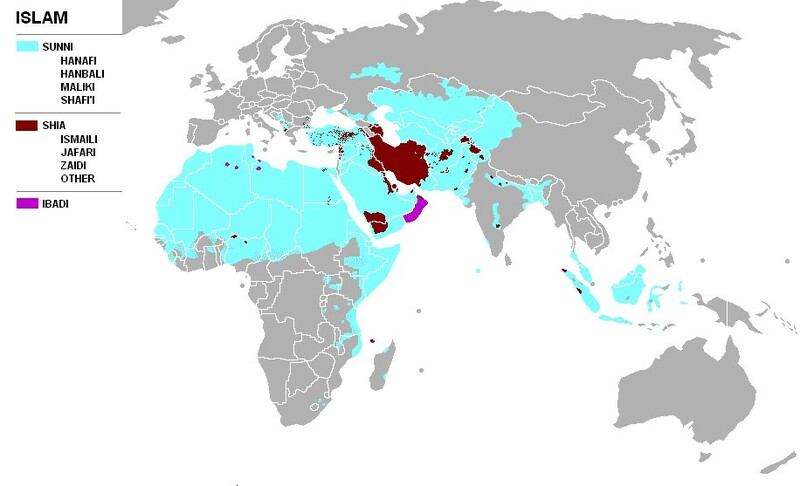 This is due to both the historical and geographical position of Turkey. This is a turning point for Turkish Foreign Policy. According to this, Turkey should not be satisfied with a regional role in the Balkans and the Middle East, but should rather have a leadership position, in Balkans, in Middle East, in Caucasus, in Central Asia, in the Caspian Area, in Mediterranean, the Persian Gulf, the Black Sea and play a World Strategic role. This position, for over ten years now, has been adopted by the quasi totality of the Government, Military and Administrative elite of the Country. 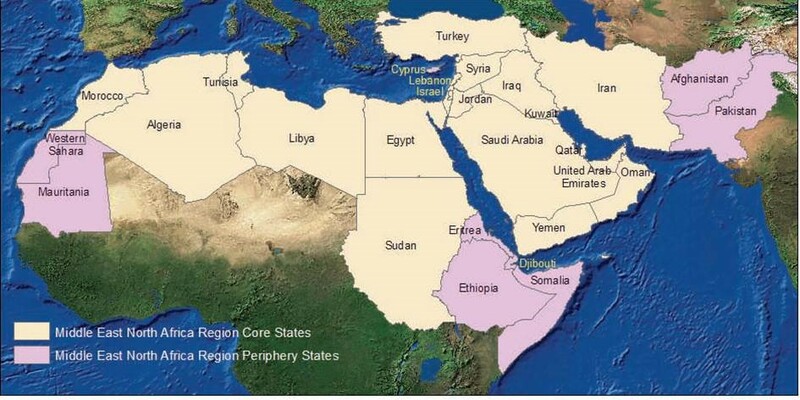 Somalia, Qatar, Northern Iraq, Northern Syria, Afghanistan, Azerbaijan, Georgia, Albania, Lebanon, Cyprus and negotiates to extend them in Pakistan, Indonesia and Malaysia. Furthermore, Turkey is building its own F-35 aircraft carrier, to become in the words of Erdogan “one of the ten only World Powers that have aircraft carriers’’. The positioning of Turkey, by Erdogan, as a Central Power, worked well to increase Turkey’s influence and commerce in the Middle and further East, but alienated the Country from the West, starting with the rupture of Turkey’s, previous beneficial, relationship with Israel, after the Mavi – Marmara incident. The close links forged by Erdogan’s Turkey with Hamas and the Muslim Brotherhood, made the rupture deeper and the entente with Iran, Israel’s sworn enemy, turned it to a long lasting one. The initial cooperation with Saudi Arabia on Syria, degraded over time and sunk with Turkey taking the side of Qatar, in the recent confrontation, which aligns Turkey with Iran. That Turkey competes for the leadership of Sunni Islam with Saudi Arabia does not make their relations any easier. The immediate reason for which Turkey got closer to Iran is the Kurdish problem that has now also become an Iranian one. 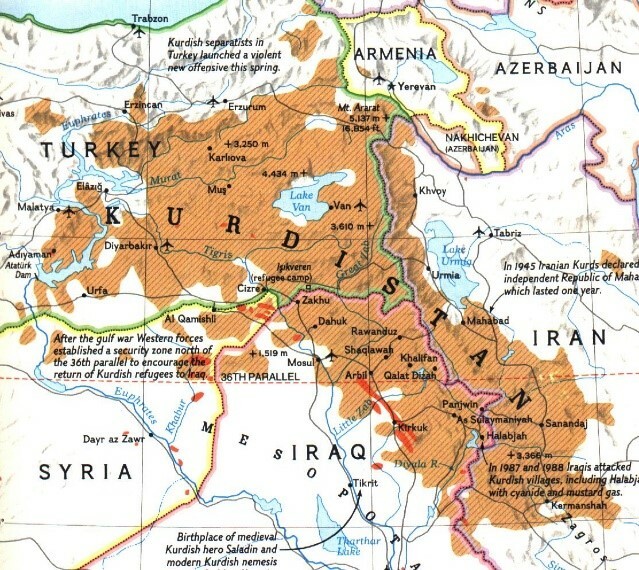 There have been recent risings of the Kurdish population that inhabits the Western frontiers of Iran, neighboring Iraqi and Turkish Kurdish areas. Whether those uprisings were sympathetic detonations, or were provoked by External Powers, is not known. It is however, a most unwelcome event for Iran, which due to the victorious presence of Iranian militias in Syria and Iraq, is close to achieving its geo-strategic aim to dominate significant areas in Iraq and Syria and reach the Mediterranean Sea, assisted also by Hezbollah. That persuaded the Iranian politico-military leadership to proceed with an Alliance with Turkey. 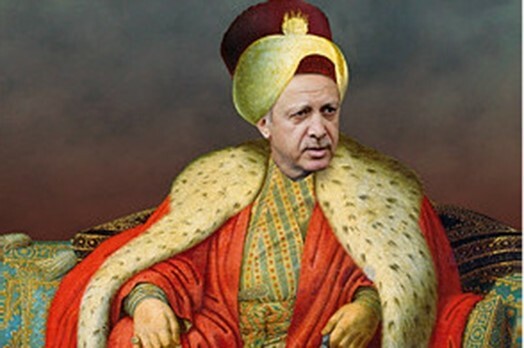 Turkey plans to attack the jihadists that hold Idlib. Russia and Iran will operate in the southern part of Idlib, while Turkish Forces will be advancing from the north. It is convenient for Iran and Russia to have Turkey attacking simultaneously with them, in a pincer movement that covers also their Northern flank. Turkey on the other hand, desires this alliance as it understands that this is its only chance to have a meaningful, however large or small, presence in Syria and Iraq, depending on Iranian goodwill. It is also its only hope of containing the spillover to Turkish Kurdistan of the strongly emerging Kurdish populations in Syria and Iraq, that are now de facto states, while in the near future, they will become de jure ones. The force behind the scenes is of course Russia. In spite of its historic and recent antagonism with Turkey and the cagey way, that the Iranians approach their alliance with Russia, it is Russia that created the new power triangle. In 2015 Russia persuaded Turkey to stop assisting ISIS and facilitated the rapprochement with Iran, using both the Astana talks, and, the creation of the safe zones in Syria. For Iran, securing its northern flank towards the Mediterranean Sea makes good strategic sense. Facing the Kurdish threat jointly with Iran, also makes good strategic and tactical sense. The Russians, in spite of their privately expressed contempt for Turkey, which they consider as a “useful idiot” in the long term, fully exploit the advantages of the current tripartite alliance. With the recent developments, Russians started playing a role in the Gulf and even cooperate with Saudi Arabia to unite the opposition to Assad in Syria, so that a peace process may proceed, influenced to a great extent by them. Right or wrong the West is not innocent of these developments. The Obama administration, frequently, showed their contempt for Erdogan and his party, armed the Syrian YPG Kurds despite of their close relationship with the Kurdish PKK irredentists of Turkey, armed the Iraqi Kurdish Peshmerga and led them to fight against the Turkish-supported anti-Assad fighters. In addition, shots were exchanged between U.S. and Turkish troops in Syria. The treatment of Erdogan in Washington is going from bad to worse while the U.S. media is treating Turkey in the same manner that they used to treat communist states. The Turks perceive the last year’s coup d’état attempt by the Turkish Armed Forces, as U.S. inspired. They are furious that the principal opponent of Erdogan, Gulen, has found permanent shelter in Pennsylvania. The European Union has not been kinder to Erdogan’s Turkey. Recently, the EC influenced by Germany and France, stopped altogether the adherence negotiations with Turkey. Britain, absorbed in the Brexit negotiations, did not influence these decisions. We are not judging if Turkey is deserving this treatment or not. It is rather a Turkey thus treated from the West, has no motivation to stay there. 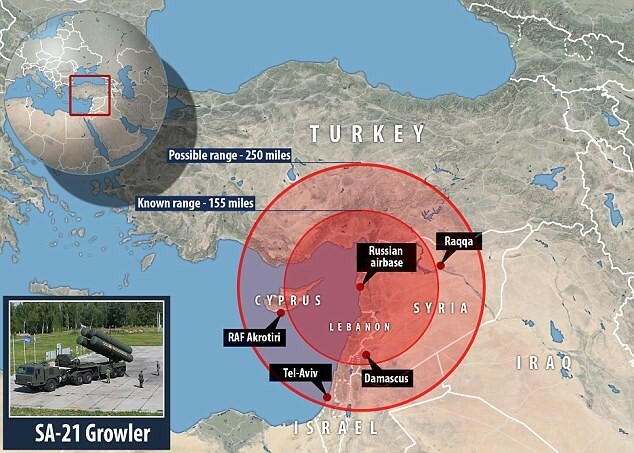 The signature for the procurement of the S-400 AA (known to NATO as SA-21 ‘Growler’) missile system by Turkey from Russia is one consequence, undesired by NATO and the West, showing a turning point from absolute dependence to western military technology. As if Russia’s involvement in the Middle East was not enough, Iran and Turkey showed their imperialistic ambitions and designs for the Middle East. Turkey tries to become the leader of the Sunni Islam, offering a kind of Islam “light” to the faithful, to the great annoyance of the Wahhabi Saudi Arabia, whose leadership of Islam, with the holy sites of Makkah and Medina, is the raison d’être of the State of Saudi Arabia. “The dividing line between the two names offers unexpected insight into how Turkey’s bid for influence in the Muslim world has played out: between one region where it has built on cultural ties to expand its soft power — and another, the Middle East, where it has tried and failed to expand its hard Power”. The previous axis of USA, Arab States and Turkey that was against the axis of Russia, China, Iran has been greatly weakened with the abandonment of the former by Turkey and its adherence to the latter. Both the U.S. that provides most of the Turkish weaponry & logistics and the EU that receives 60% of the Turkish exports, have many pressure points. The question, however, is not how Turkey can be punished, but how it can return to the West, as it has significant geopolitical importance. An anti-Western Turkey can create enormous problems to the Middle East and the Western Alliance.